The soundtrack of our lives re-envisioned and revitalized in the hands of the most talented and innovative artists of our time. To experience each of our releases all compiled at one straight forward destination you can also visit our companion site. Reimagine Music owner Jim Sampas has assisted The Merrimack Repertory Theatre in creating a play based on Jack Kerouac’s lost novel entitled 'The Haunted Life’ which runs March 20th through April 14th and Kerouac’s hometown of Lowell. "Jack Kerouac is regarded as the leader of the beat poets and writers who changed the American literary landscape in the 1950s and influenced the decade to come...Before all that, though, in 1944, he wrote “The Haunted Life.” It was his first novel, unfinished and lost for 58 years before finally being published in 2014. The story is set in 1941 before America’s entry into World War II and then in 1942, after the Pearl Harbor attack [set in Lowell]...The Great Depression is still lingering and jobs are scarce. One of the key conflicts Peter has is with his conservative father, Joe (Joel Colodner), who fears he is losing his business." Read more about the project at WBUR, The Boston Globe, Broadway World, and Wicked Local. Click here for more info about the Esperanza, including free listening stream of the album in its entirety and mp3 song download! Individually, the members of Leaders of The Shift (formerly theSHIFT) are highly sought-after musicians who’ve recorded and toured the world with music royalty. Together, John Shannon (vocals/guitar), MJ Lambert (drums) and Ben Geis (bass) craft music that the Huffington Post describes as "elements of psychedelic rock, pop rock and new wave." With Reimagining The Police we find Leaders of The Shift adeptly reconstructing The Police. You’ll experience reinventions that breath new life, and find new meaning, in pop gems by one of the most influential recording artists of the 80s. And if you find yourself forgetting that you're listening to tracks you've heard before, then as band sees it, their work has paid off. Brothertiger Plays Tears For Fears' Songs From The Big Chair pays tribute to an influential gem by giving it a modern take. In the mid 1980s new wave era, with feel good singles, such as “Love Shack” and “Footloose,” at the top of the charts, confessional songs of disheartening childhood experiences was the last thing one might expect from an aspiring young band. Yet it was the then newcomers Tears For Fears’ dark remembrances, supported by infectious melodies, that many rock critics now cite as having struck a chord with the young recession era generation. With the incredible success of their sophomore album Songs From The Big Chair in 1985, Tears For Fears would find themselves standing head to head with the most popular acts of the day. Brothertiger Plays Songs From The Big Chair helps to shed new life, and give new meaning, to this iconic work. Please allow us to introduce you to Beth Porter and Ben Please, of The Bookshop Band, who have a unique approach to songwriting and a fascinating story behind it. 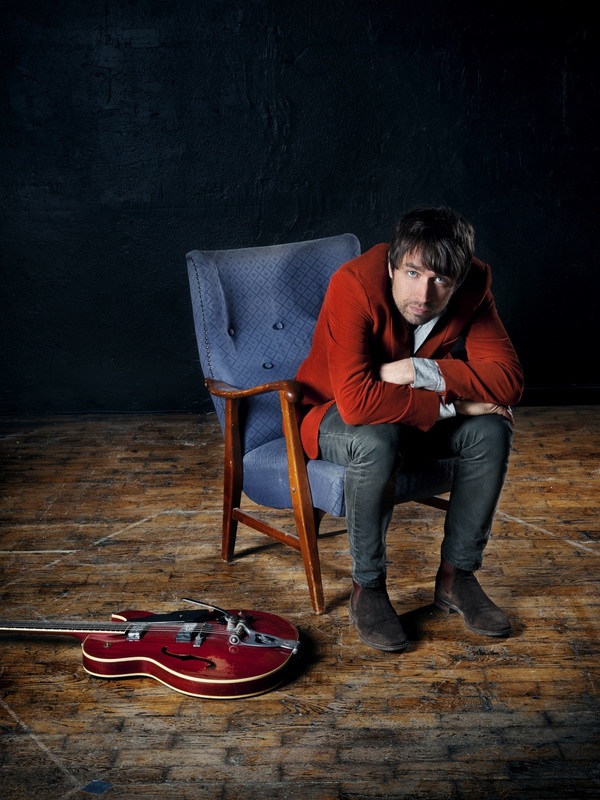 It all began in late 2010 as a collaboration between three songwriters, including their original third member Poppy Pitt, and their local independent bookshop - Mr B’s Emporium of Reading Delights, in Bath, England. To inject some music into a bookshop’s author events, the band would read a visiting author’s novel and then write a song inspired by their response to it. Then they would play it back to the author and audience in this intimate setting. As word spread they began to be asked to play in other bookshops as well, culminating in three years of touring all over the UK, Ireland, and Europe garnering great support and praise along the way. Reimagine Music is proud to present their latest The Bookshop Band Plays Stay Sharp and Stay Alive: Songs Inspired by American Authors. It includes songs inspired by the work of acclaimed American authors John Green, Paula McLain, Patrick Ness, Amanda Foreman, Ben Fountain, and Armistead Maupin. Preview and purchase on iTunes and Amazon everywhere digital music is sold! Listen to album on Spotify at reimagine.us. There has been no band so rapturous nor so crucial as The Beatles. In the mid-1960s, The Beatles released Rubber Soul and Revolver, tight bundles of songs whose impact was immediate. An impressive roster of indie rock artists have gathered to pay homage to these two albums into creations of their own. Pitchfork, Consequence of Sound, Stereogum, Cover Me Songs, and so many others, are writing about Love Cats: A Tribute to The Cure, a new collection of recordings featuring a select few of the best in indie rock including Tancred, The Crookes, Minipop, Canopy Climbers, Sealions, Hayley Richman, Dowsing, Worm Is Green, Grace Kelly, The Hotelier, Woodpigeon, and The Guessing Game. Preview and purchase her and everywhere digital music is sold! 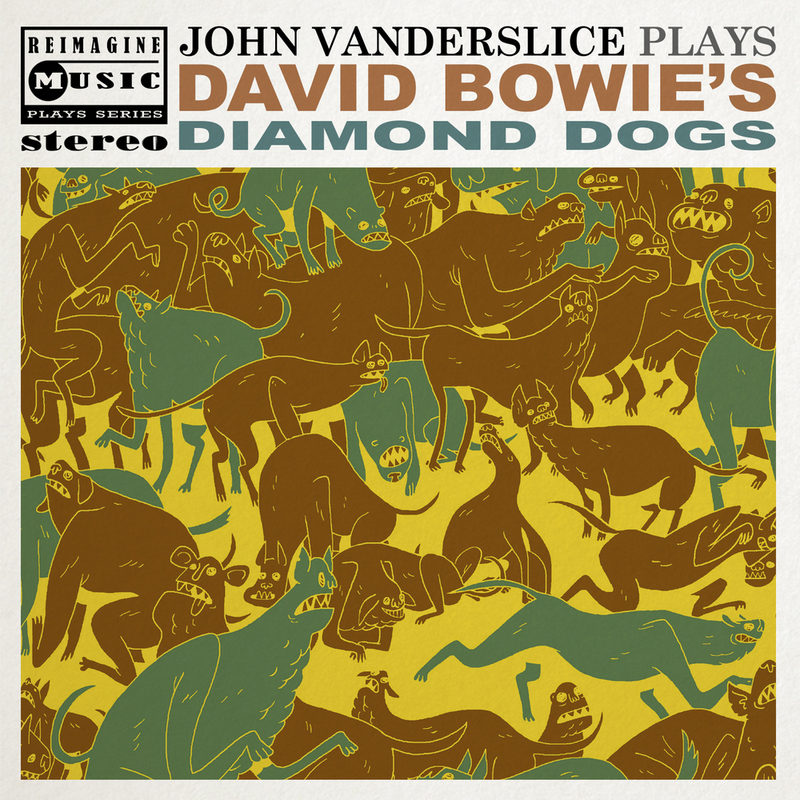 Preview and purchase John Vanderslice Plays David Bowie's Diamond Dogs and everywhere digital music is sold! There has been no band so rapturous nor so crucial as The Beatles. In the mid-1960s, The Beatles released Rubber Soul and Revolver, tight bundles of songs whose impact was immediate. Manifest in each album was a wave of influence, a new set of recording standards—these albums marked the group’s transition from the land of rock into the realm of art, ensuring their ascent into legend. In celebration of the 50th anniversary of two of the most influential albums of all time, independent label Reimagine Music is pleased to present Looking Through You: A 50th Anniversary Tribute to The Beatles’ Rubber Soul, and Tomorrow Never Knows: A 50th Anniversary Tribute to The Beatles’ Revolver. Youth is a cult of sound, a raucous awakening. The '60s saw The Beatles pull pop music into a higher orbit, and Rubber Soul and Revolver mark the brilliant, burning youth of their enormous achievement. These new projects—Looking Through You and Tomorrow Never Knows are a testament to the albums’ enduring relevance. 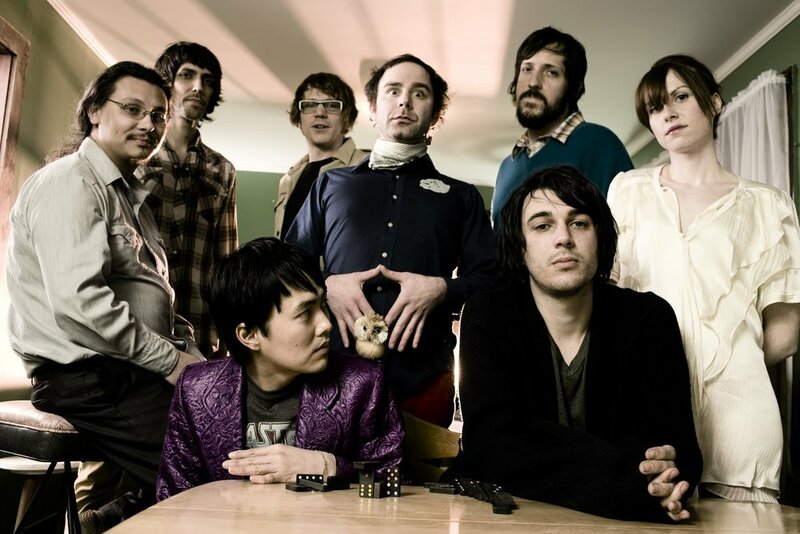 An impressive roster of today's best indie rock artists have gathered to pay homage to the group by translating the famed verses into creations of their own. Looking Through You: A 50th Anniversary Tribute to The Beatles’ Rubber Soul boasts the cutting edge of today’s music scene: Bombadil, The David Mayfield Parade, So Many Wizards, The Pride of Erie PA, Admirals, Woodpigeon, Cereus Bright, Tyler Lyle, The Blackwater Fever, Swear and Shake, Blessed Feathers, The Daydream Club, The Love Language, Olin & The Moon, Nemes, Kid In The Attic and The Kirkendall Gang. 1. Bombadil "Drive My Car"
2. The David Mayfield Parade "Norwegian Wood (This Bird Has Flown)"
4. The Pride of Erie PA "Nowhere Man"
5. Admirals "Think for Yourself"
8. Tyler Lyle "What Goes On"
9. The Blackwater Fever "Girl"
10. Swear and Shake "I'm Looking Through You"
11. Blessed Feathers "In My Life"
12. The Daydream Club "Wait"
13. The Love Language "If I Needed Someone"
14. Olin & The Moon "Run for Your Life"
Preview and purchase on iTunes, Amazon, and everywhere digital music is sold! David Bowie was a maverick amongst the sound and scope of rock music. His radical approach electrified the early 1970s rock scene with songs that braided psychedelic sensibilities and abstract lyricism, and to this day, his achievements have maintained one of the biggest followings in rock history. As New York Times wrote today on his passing, David Bowie "transcended music, art and fashion...earned admiration and emulation across the musical spectrum — from rockers, balladeers, punks, hip-hop acts, creators of pop spectacles and even classical composers..."
This is first album of Reimagine Music’s “Plays Series” wherein a single innovative and accomplished recording artist interprets iconic works of the past. This digital download only project is produced by Jim Sampas whose work includes Jay Farrar & Benjamin Gibbard - One Fast Move Or I’m Gone: Music From Kerouac’s Big Sur (Atlantic Records), Badlands: A Tribute to Bruce Springsteen’s Nebraska (Sub Pop) w/ Johnny Cash, Aimee Mann, Ben Harper and others and This Bird Has Flown: A Tribute to the Beatles’ Rubber Soul (Razor & Tie) w/ Sufjan Stevens, Ted Leo, Low and others. Come As You Are: A 20th Anniversary Tribute To Nirvana's "Nevermind"
Reimagine Music is proud to help celebrate the twentieth anniversary of arguably the most important release of the 1990s by releasing Come As You Are: A 20th Anniversary Tribute To Nirvana’s Nevermind. This special tribute album features contributions from some of today’s best alternative and indie rock artists who have contributed their unique takes on Nirvana classics including Hawthorne Heights, Story Of The Year, Anthony Raneri (of Bayside), Finger Eleven, The Album Leaf, Margot & The Nuclear So and So’s, mewithoutYou, Maps & Atlases, Murder By Death and Pitty. The dark songs that make up Nevermind so eloquently personified teenage angst that it took FM radio and, subsequently, MTV by storm effectively ushering ‘alternative rock’ to a mainstream audience. Nirvana’s place in rock history would be secured by creating the most influential album of their generation. Kurt Cobain’s poetic, self deprecating, deeply introspective lyrics, and the stunning musical energy of Dave Grohl and Krist Novoselic continues to attract countless listeners the world over, pulled into its orbit, and furthering Nevermind’s status as one of the most celebrated albums of all time. Come As You Are is produced by the acclaimed Jim Sampas whose other tributes to seminal albums such as Bruce Springsteen’s Nebraska w/ Johnny Cash, Aimee Mann, Ben Harper and others and The Beatles’ Rubber Soul w/ Sufjan Stevens, Ted Leo, Low, and others, as well as the Jay Farrar & Benjamin Gibbard album One Fast Move Or I’m Gone: Music From Kerouac’s Big Sur, are regarded as touchstones of the genre. Each reimagining is a unique experience because Sampas comes at the music from a fresh perspective, combining the right artists with the perfect track, all with an eye toward producing insightful performances you will want to listen to over and over again. No Depression? Sounds like the tagline to an ad for a new wonder drug. But the potently titled 1990 debut album by Uncle Tupelo, had nothing to do with an instant chemical solution, rather a cure… a rip-roaring parade of country punk. 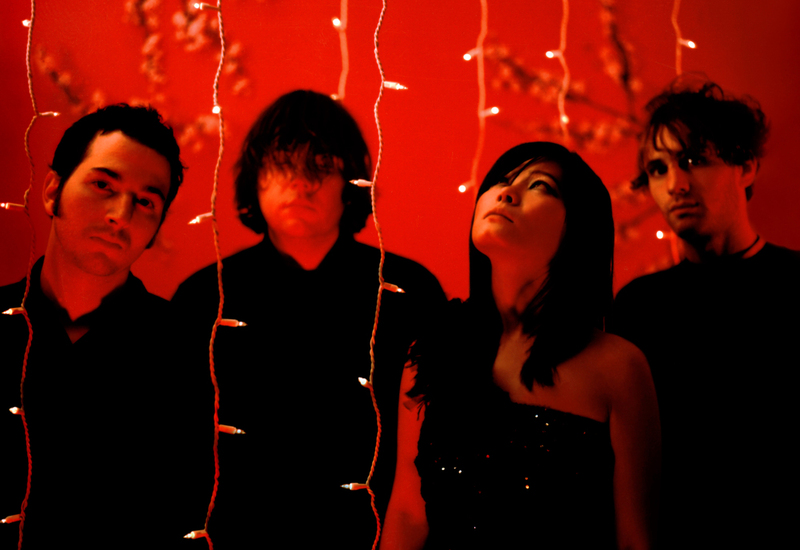 This supercharged young trio – with guitarist Jeff Tweedy (Wilco) and bassist Jay Farrar (Son Volt) joined by Mike Heidorn on drums – had a burning desire to forge a distinctive style that paid its dues in the earnest hard luck themes, and sound, of traditional country, but infused with the blistering guitars and energies of punk rock. On The Brighter Side: A 25th Anniversary Tribute To Uncle Tupelo’s No Depression a select few of the best artists in Alt Country and Indie Rock bring their talents together to re-imagine the album a quarter century later: The Last Bison, Bodies of Water, Big Sky Blue, The Wooden Sky, Peculiar Pretzelmen, Elliott BROOD, Crow Moses, Leeroy Stagger, Smoking Popes, David Stuart, Mikaela Davis, Cheap Girls, and Beta Radio. “Like Springsteen’s Nebraska before it in the early ‘80s, an inspiration for both Farrar and Tweedy, the lyrics of No Depression speak to the hard knock life of the American blue-collar worker of the early ‘90s” says producer Jim Sampas. “A few of the recordings on this new collection offer softer, more acoustic qualities, than the original, perhaps an attempt to lend more focus to the lyrics. Still others underscore Uncle Tupelo’s more rebellious aspirations, updating and restructuring the band’s raucous, freewheeling, sound. 8. Leeroy Stagger - "Train"
11. Mikaela Davis - "So Called Friend"
"At least two generations of rockers have seen this extraordinary combo, with the most ordinary of names, inspire their visions, tweak their creative dials, and send them into rehearsal spaces, the back rooms of bars, out on the road and into the studio. That streak of determined independence, in style and attitude, persists." “She showed me the air and taught me how to fill it,” Janis Joplin said of Bessie Smith. Reimagine Music is proud to present The Empress of the Blues: A Tribute To Bessie Smith (November 25th), the fifth installment in its series of original recordings celebrating iconic figures. The all-female lineup includes Haley Bonar, Jenny Owen Youngs, Doria Roberts, Dawn Landes, Catherine Feeny & Daniel Dixon, Whitney Monge, Simone White, Holly Golightly, Tift Merritt, Barbara Kessler, Alessi’s Ark & Scott Verbeek, and Abigail Washburn. The song ‘”Send Me to the ‘Lectric Chair,” performed here by Haley Bonar, proves Smith’s art is still alive and vital - Bessie’s lyrics “Please Mister Judge, send me to the ‘lectric chair” were written 60 years before Springsteen’s “Well your honor, I do believe I'd be better off dead.” “A blast of power and volume,” writes Wondering Sound. “The guitars are blunted by distortion, feedback wails and vanishes and Bonar’s voice is frantic and piercing.” Bonar and her fellow artists on Empress of the Blues all connect to the heart of Bessie’s work through their own sound. Throughout the 1920s Bessie Smith became one of the most popular singers in America. She sang it like it was, representing the African-American experience and the suffering of her people through raw, unadulterated country blues. Born into poverty on April 15, 1894 in Chattanooga, Tennessee, Bessie Smith at an early age dreamed of “getting out and getting on.” As a teenager she joined The Moss Stokes Company, a travelling minstrel troupe, and was mentored there. She learned well, evolving into an all-round entertainer who danced, acted and even performed comedy routines. But it was her deep, soulful voice that was striking, and her raw delivery presaged that of Billie Holiday. On its original release, “Bringing It All Back Home,” was a delicious and challenging step into the unknown, a platter that carried Dylan from the cultish fringes to the popular mainstream. Released in March 1965, it hit #1 on the UK charts and was his first Top 10 album in the US. Dylan’s song writing clearly stepped up a gear with this album simultaneously presenting a caustic cocktail of spiky emotions and an outpouring of angst that in many ways, signaled the end of that Greenwich Village coffee house career. This new tribute album was produced by Jim Sampas whose work includes recent Billboard Heatseeker #1 album Jay Farrar & Benjamin Gibbard - One Fast Move Or I’m Gone: Music From Kerouac’s Big Sur (Atlantic Records), Badlands: A Tribute to Bruce Springsteen’s Nebraska (Sub Pop) w/ Johnny Cash, Aimee Mann, Ben Harper and others and This Bird Has Flown: A Tribute to the Beatles’ Rubber Soul (Razor & Tie) w/ Sufjan Stevens, Ted Leo, Fiery Furnaces, Low and others. The New York Times has described Kerouac’s Tristessa as "truthful, entertaining and honest...with Kerouac voyaging in Mexico City, running into a Mexican girl. Her story is heroin...descriptions of hallucination, riding around town in cabs, street surveying, people who have given up on life as we know it." In the grand scheme of the Kerouac canon, Tristessa stands between the adventures recounted in On The Road and his emotional breakdown chronicled in Big Sur. For Reimagine Music’s Esperanza: Songs From Jack Kerouac’s Tristessa, 19 acclaimed singer-songwriters and bands create songs inspired by Jack Kerouac's bittersweet novella: William Fitzsimmons, Tim & Adam, Gregory Alan Isakov, Peter Bradley Adams, Alela Diane, Wintersleep, Marissa Nadler, Joshua James, Lee Ranaldo (of Sonic Youth), Hey Rosetta!, Will Dailey, Willy Mason, Matt Costa, The Low Anthem, Neal McCarthy with Barbara Kessler, and Tony Dekker with Hanne Hukkelberg. Set in the seething cauldron of Mexico City in the 1950’s, a termite hill of the devotional and the damned, the novel follows Kerouac’s love affair with Tristessa, a morphine-addicted prostitute. 60 years after Kerouac’s doomed tryst, an eclectic group of artists respond to this underappreciated novella, adapting its themes to music, adopting Kerouac’s very words into lyrics. Kerouac scholars have since found Esperanza was the given name of Jack’s prostitute, Tristessa, pointing the way to the titling of this release. Sampas’ other Kerouac works includes Big Sur, a critically acclaimed 2013 Sundance Film Festival Official Selection starring Jean-Marc Barr, Kate Bosworth, Josh Lucas, Anthony Edwards, Radha Mitchell with a score composed by Aaron and Bryse Dessner of The National, One Fast Move documentary featuring Tom Waits, Sam Shepard, and Patti Smith, the soundtrack for that film with Jay Farrar & Benjamin Gibbard, and Kerouac--kicks joy darkness with Allen Ginsberg, Eddie Vedder, William Burroughs, Johnny Depp, Jeff Buckley, and others. 1. William Fitzsimmons & Tim & Adam - "First Page of Kerouac's Tristessa"
2. Tim & Adam - "Billie Holiday Eyes"
3. Gregory Alan Isakov - "O' City Lights"
4. Peter Bradley Adams - "She Has to Come Down"
5. Alela Diane - "We Are Nothing"
6. 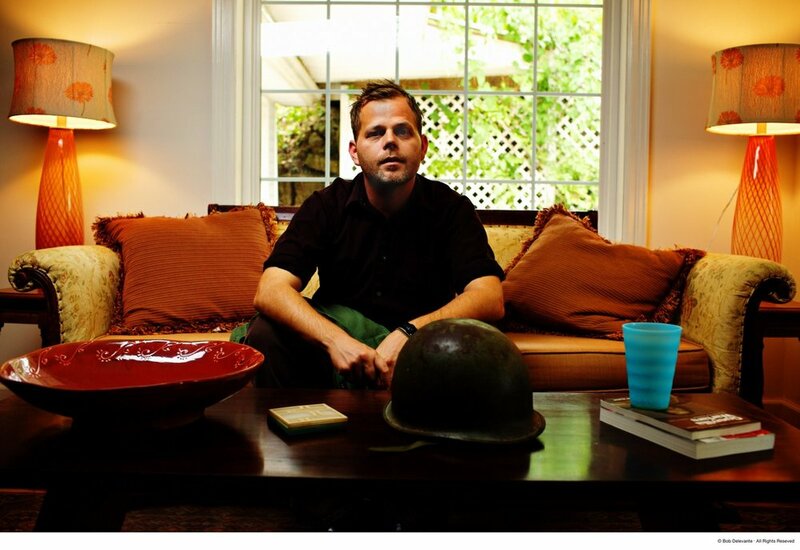 Wintersleep - "Father Time"
7. Marissa Nadler - "Tristessa's Song"
8. Joshua James - "Esperanza (Spanish Version)"
9. Lee Ranaldo - "Middle Page of Kerouac's Tristessa"
10. Will Dailey - "Broke My Calm"
11. Hey Rosetta! - "Sad Animals"
12. Willy Mason - "I Have Known Love"
13. Matt Costa - "Shadows of Autumn"
14. The Low Anthem - "Numbers in Nirvana"
15. Neal McCarthy & Barbara Kessler - "Esperanza (English Version)"
16. Tony Dekker & Hanne Hukkelberg - "Last Page of Kerouac's Tristessa"
For Reimagine AudioBooks, William Fitzsimmons read an abridged version of Tristessa by Jack Kerouac. More info here. A leading light of the maverick pack of ‘50s writers who forged the Beat Generation, whose works sparked the cultural revolution of the ‘60s, Jack Kerouac is best known for his exhilarating lust for life, distilling his adventures and his hopes in a series of high-octane novels. While the image of Kerouac as a freewheeling spirit of the open road has endured, his novel, Tristessa reveals his obsession with the darker recesses of human experience. Known as one of today's most celebrated highly indie rock songwriters, William Fitzsimmons shows a gift for spoken word reading. In celebration of the 50th anniversary of two of the most influential albums of all time, independent label Reimagine Music is pleased to present Looking Through You: A 50th Anniversary Tribute to The Beatles’ Rubber Soul, and Tomorrow Never Knows: A 50th Anniversary Tribute to The Beatles’ Revolver. Reimagine also adds a stunning, imaginary album to the mix: Frankie Siragusa Plays: Goodbye My Love - Lost Songs of The Beatles Covered and Rediscovered, newly rendered recordings of songs that members of The Beatles wrote, yet never released while the group was still working together. Youth is a cult of sound, a raucous awakening. The '60s saw The Beatles pull pop music into a higher orbit, and Rubber Soul and Revolver mark the brilliant, burning youth of their enormous achievement. These new projects—Looking Through You, Tomorrow Never Knows, and Goodbye My Love—are a testament to the albums’ enduring relevance. An impressive roster of today's best indie rock artists have gathered to pay homage to the group by translating the famed verses of Rubber Soul and Revolver into creations of their own.